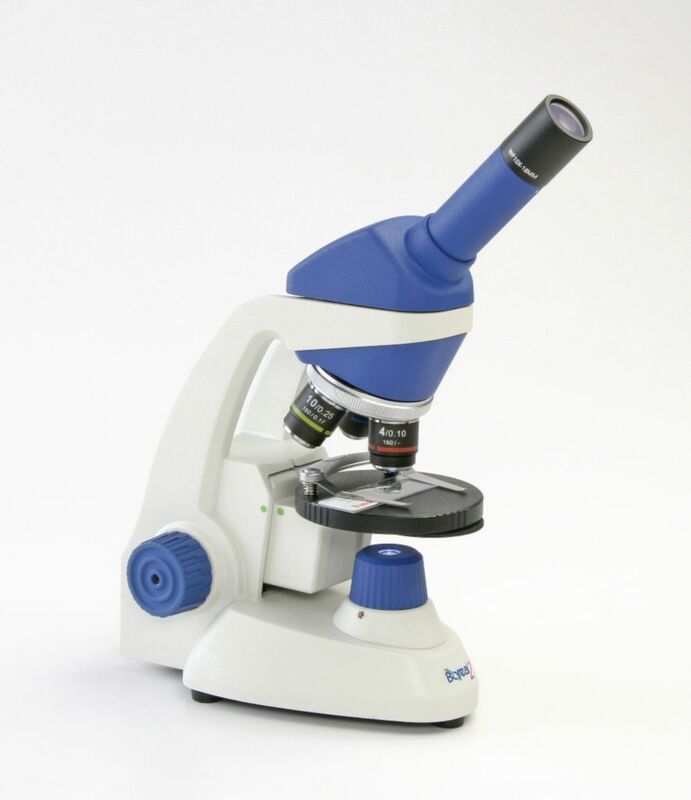 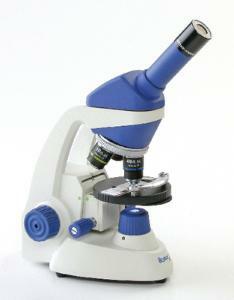 One of our easiest-to-use models, this is the perfect introductory microscope for students. It boasts a gliding stage with stage clips for one-hand use, focus dots that make focusing quick and easy, and color-coded and distinctly labeled objectives. 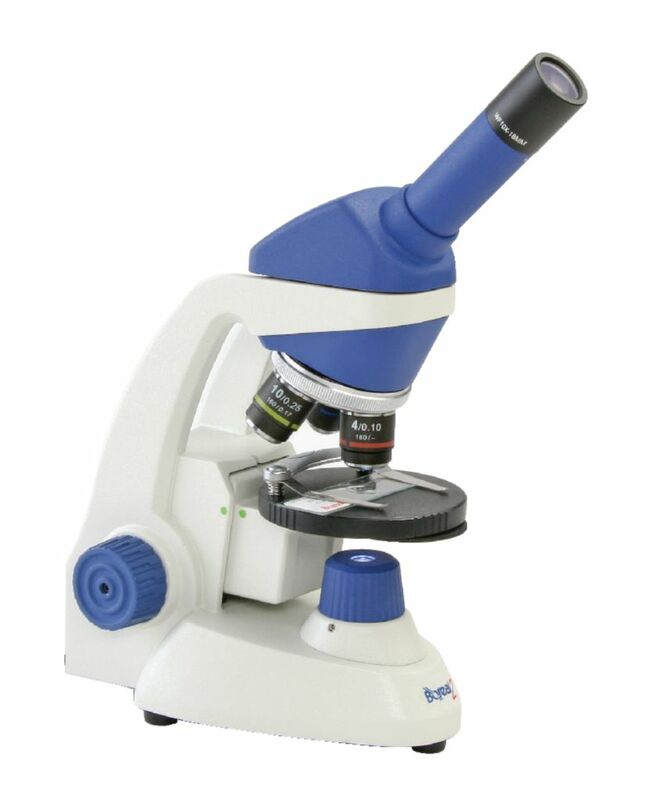 The microscope also features an all-metal chassis, illumination without heat through a bright, white LED, and up to 400x magnification.